Dogs and cats have anatomical ear considerations that differ significantly from the human ear, that facilitate wax build up and secondary infections with great frequency. This difference includes much wider diameter external ear canals, especially taken in consideration of their proportional diameters in comparison to the much smaller overall body mass of dogs and cats. There is also an acute bend in the ear canal as it courses down from its superficial opening, making an almost right angle turn toward the ear drum. This combination makes it easier for allergens and microbes to enter, but more difficult for the body to get them out. 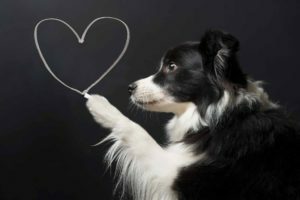 Adding in pendulous ears and prevalent skin allergies that many dog breeds are predisposed to (e.g., cocker spaniels), and you have a recipe for a perfect storm of poor ear health. In approaching the management of ear disease in dogs and cats, it is important to first understand that in most cases, there is no definitive cure for chronic ear disease. Chronically diseased ears are more often than not, a constant work in progress that mandate ongoing maintenance and attention from the pet owner. With that in mind, below are the most important goals in maintaining health ears and preventing ear infections in dogs and cats. 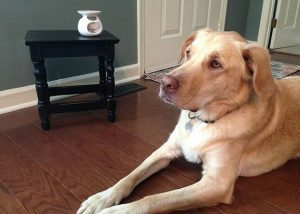 Wax builds up in canine and feline ear canals just as it does in people, only usually more abundantly. Knowing that we regularly need to remove wax from our own ears with cotton tipped swabs; we must understand that the same applies to dogs and cats. However, as previously noted, in the case of dogs and cats, wax production is often far worse, as moisture and environmental allergens that come in contact with those big external ear canals, often leads to over-secretion of wax. An overabundance of wax significantly increases the potential for secondary infection. Thus, selectiing an ear cleanser that breaks up wax well is pivotal in preventing ear infections. Cleansers that have small percentages of acetic acid and alcohol acomplish the breakdown and removal of ear wax well. Moisture left within ear canals enables a watery environment that many species of bacteria and yeast thrive in. This is very important in consideration of dogs and cats that are regularly groomed and bathed, as well as dogs that swim. Drying ears thoroughly after bathing and swimming is therefore very important. I would also advise a “drying” cleanser to follow up after physically drying the ears canals. Microbes that commonly over grow in ears and lead to ear infections in dogs and cats, proliferate most effectively in an alkaline environment. Thus, creating an acidic pH – the opposite of alkaline – within the ear canal is an effective strategy for inhibiting microbial growth and limiting the tendency for a pet to develop ear infections. Cleansers with small eprcentages of acetic acid and salicyclic acid often effectively maintain an acidic environment within the ear canals. 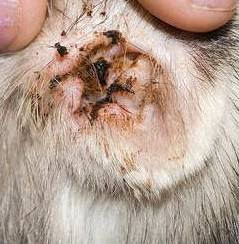 If your pet is developing ear infections because of a confirmed skin allergy, controlling the allergy is paramount. Nutritionally, consider natural anti-inflammatory therapy with mega-3-fatty acid supplementation. For 30 percent of skin allergy patients that have a food allergy component to their sensitivities that manifest in the skin, a prescription, hypoallergenic diet can be key in preventing ear infections. Home cooked diets are also a good choice, as the pet owner has full control of the ingredients. 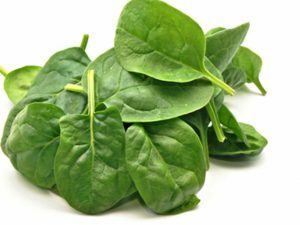 Select fresh vegetables and a protein source the pet has never been exposed to (venison, rabbit, duck are good choices) and avoid grassy grains, such as wheat, barley, oats, and corn. Dogs should be fed 50/50 meat to veggies, whereas cats should be fed 80/20 meat/veggies. A pet multivitamin that does not have any animal bi-product is generally advised with home prepared diets to optimally round out nutrition needs unique to dogs and cats. For pets where natural management may fall short, talk to your veterinarian about maintenance on anti-allergy medication, such as antihistamines or Atopica.